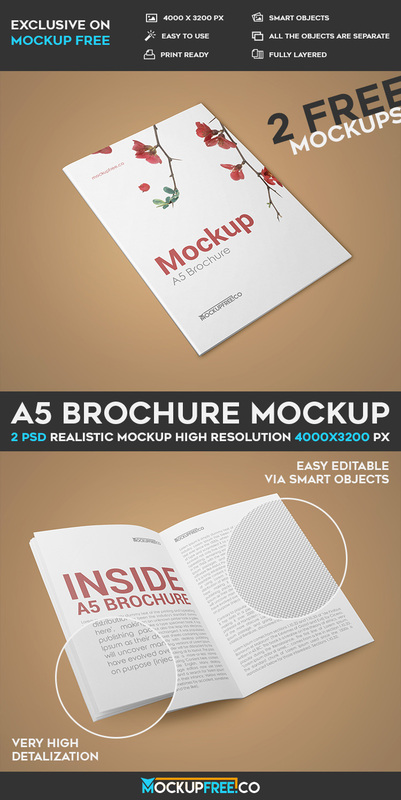 Download our new Freebie – A5 Brochure – 2 Free PSD Mockups! Use it for putting the necessary design on it and create very beautiful presentations of your design. Enjoy!